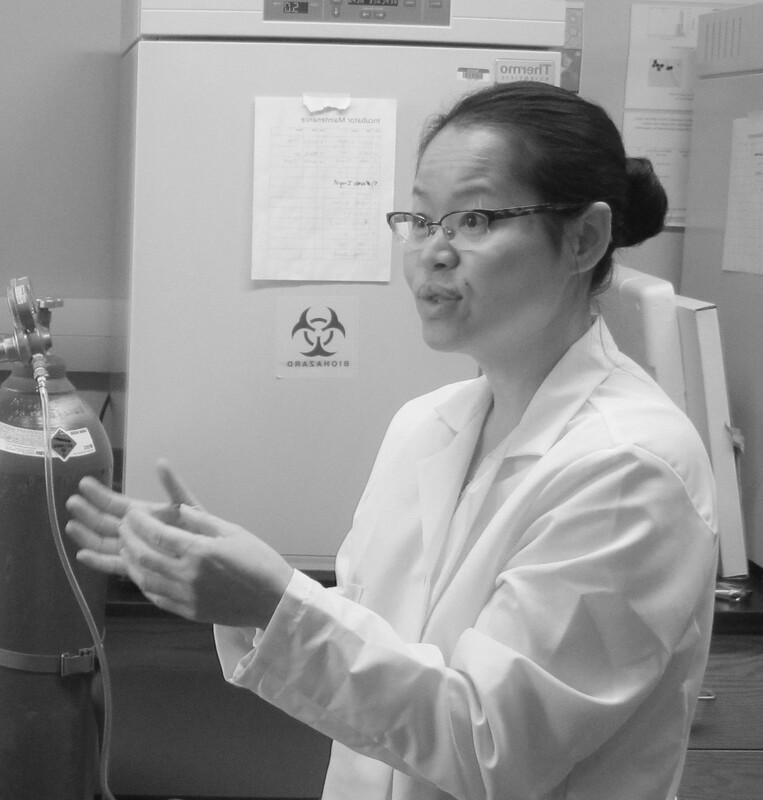 Dr. Kieng Bao Vang-Dings, research assistant professor at the Center for Integrative Nanotechnology Sciences, has received $49,509 from the Center for Advanced Surface Engineering to study the effects of tunable nanosystems on the human immune system. The project was awarded through the Arkansas Economic Development Commission’s seed grant program. Tunable nanosystems are tiny materials (measured between 1 to 100 nanometers) that can be manipulated for use in various science and engineering applications, including but not limited to cancer treatments, regenerative medicine, and neural stem cell differentiation. With this growing prevalence in mind, Vang-Dings will study how one commonly used nanosystem, gold nanoparticles coated with silver, interacts with the immune system. Vang-Dings will collaborate with Dr. Alexandru Biris, director and chief scientist of the Center for Integrative Nanotechnology Sciences. The research team will use surface-enhanced Raman spectroscopy to monitor the nanomaterials’ interaction with primary immune cells for seven days. The team will then assess any surface protein or cytokine changes caused by treatment with the nanosystem. This study will help scientists understand the immune system’s response to nanosystems– important knowledge as nanosystems are increasingly used in both medical interventions and everyday products. Vang-Dings joined UA Little Rock in 2015. She received her bachelor’s degree in biology from the University of Minnesota in 2002 and her doctorate in microbiology, immunology, and cancer from the University of Minnesota in 2010. The Arkansas Economic Development Commission seed grant program is designed to support Arkansas researchers in higher education who focus on creating nanomaterials that are useful for various science and engineering applications.